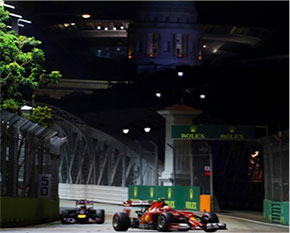 28 July 2015, Singapore – With the 2015 FORMULA 1 SINGAPORE AIRLINES SINGAPORE GRAND PRIX taking place in downtown Singapore in less than 2 months, race promoter Singapore GP announced that closer racing is expected this year, following a number of modifications to the Marina Bay Street Circuit between Turns 11 to 13. The changes ride on the back of a number of key enhancements to Singapore’s Civic District and tie-in with the city-state’s 50th anniversary of independence. The enhancement works by Singapore’s Urban Redevelopment Authority aim to integrate the areas at Esplanade Park and Empress Place to form a new arts, culture and lifestyle precinct which includes the Asian Civilisation Museum, Victoria Theatre and Concert Hall and the National Gallery. 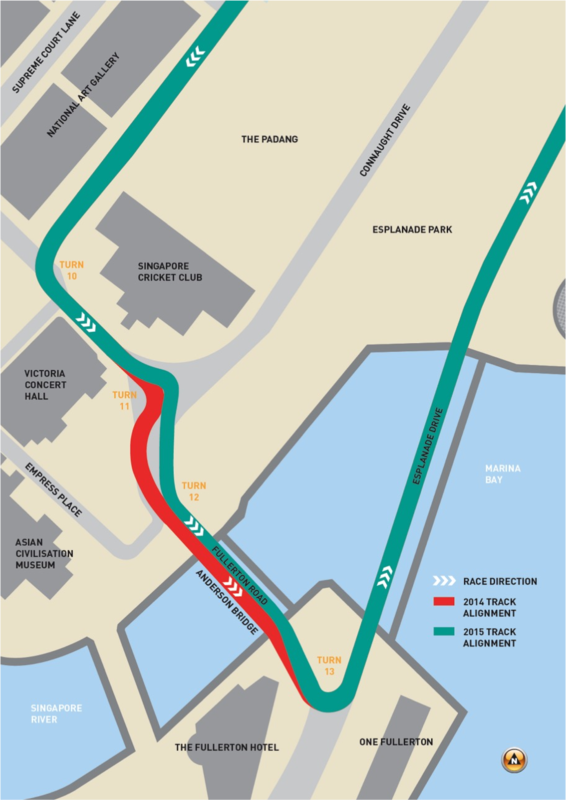 Formula One’s governing body, the Fédération Internationale de l’Automobile (FIA) and race promoter Singapore GP have approved modifications to the alignment of the track between Turns 11 and 13 to dove-tail with the new Civic District enhancement plans. The right-hand Turn 11 will remain, but will be re-aligned to sit tighter with the left-hand side of Fullerton Road for a slightly slower corner speed compared to 2014. The left-hand Turn 12 will also be modified slightly so that drivers now enter the left lane of Anderson Bridge, before accelerating towards Turn 13 at 200km/h – which is a similar speed to 2014. 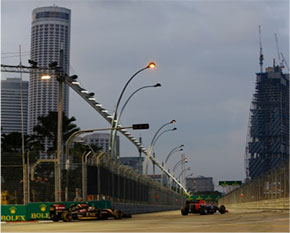 A new 220metre Jubilee Bridge which links the Merlion Park to the Esplanade promenade has also been incorporated into the Circuit Park, providing spectators with an excellent vantage point of the fireworks display once the chequered flag is waved. Patrons can now access the Circuit Park via a new gate at the Merlion Park. Ticketholders are advised to visit the official website (www.singaporegp.sg) to be updated on the new Circuit Park gate locations. Mr Colin Syn, Deputy Chairman of Singapore GP Pte Ltd, applauded the changes to both the Civic District and the Marina Bay Street Circuit. “It’s a win-win situation that the development of the new arts, culture and lifestyle precinct will provide an upgraded experience, but also potentially make for closer racing at this year’s FORMULA 1 SINGAPORE GRAND PRIX,” Mr Syn said. Faithful+Gould Senior Project Manager and Engineering Track Manager, Jonathan Giesecke is overseeing changes to the Singapore circuit – and believes they will improve the racing.